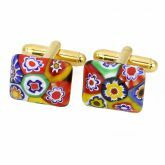 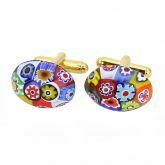 These unique Murano Glass cufflinks showcase fascinating and ancient Murano technique- Millefiori (a thousand flowers)- a very recognizable form of Murano Glass art. 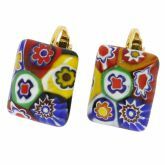 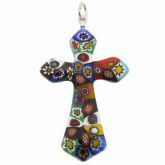 The longer you gaze at these exquisite multicolor patterns, the more enchanted you will feel. These Venetian glass cufflinks offer sophisticated and trendy accent with a bright Venetian touch for a man who seeks European elegance and appreciates timeless Italian style. 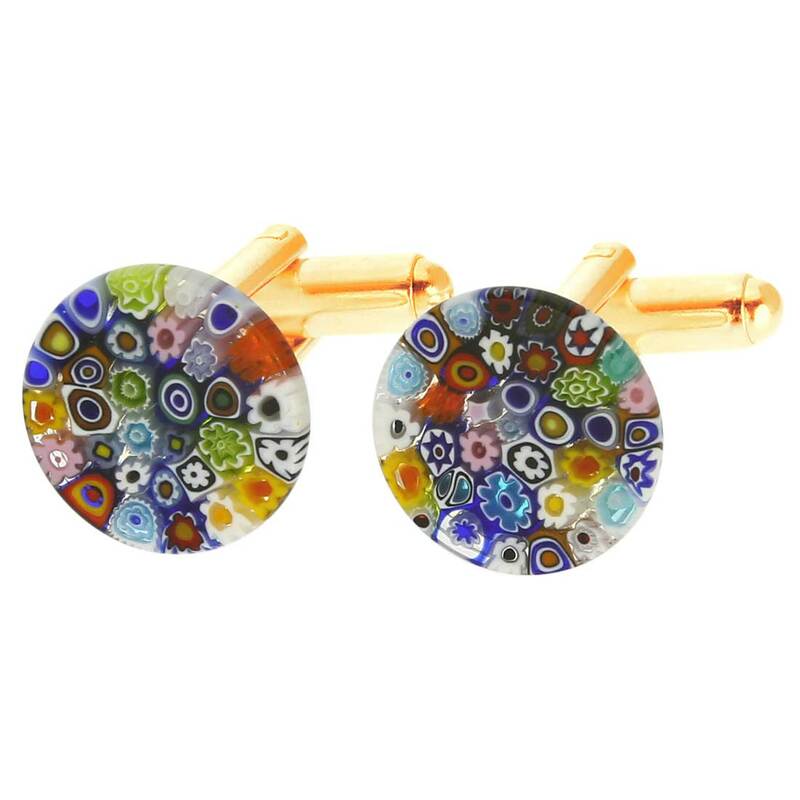 Measurements: Each of these Italian glass cufflinks measures just over 1/2 inch in diameter. 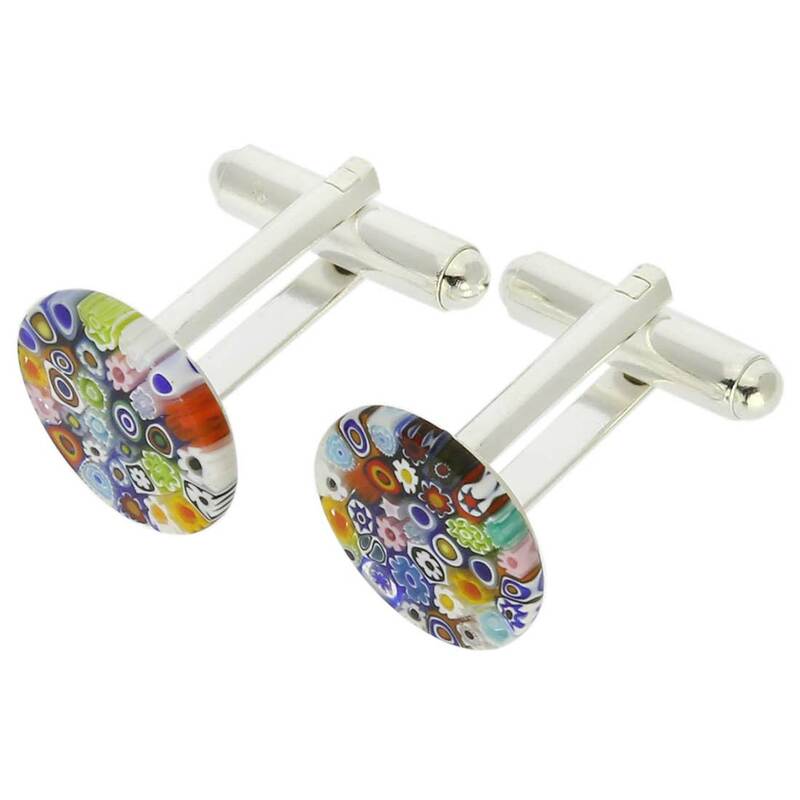 The set comes with an attractive velvet pouch and a certificate of authenticity.